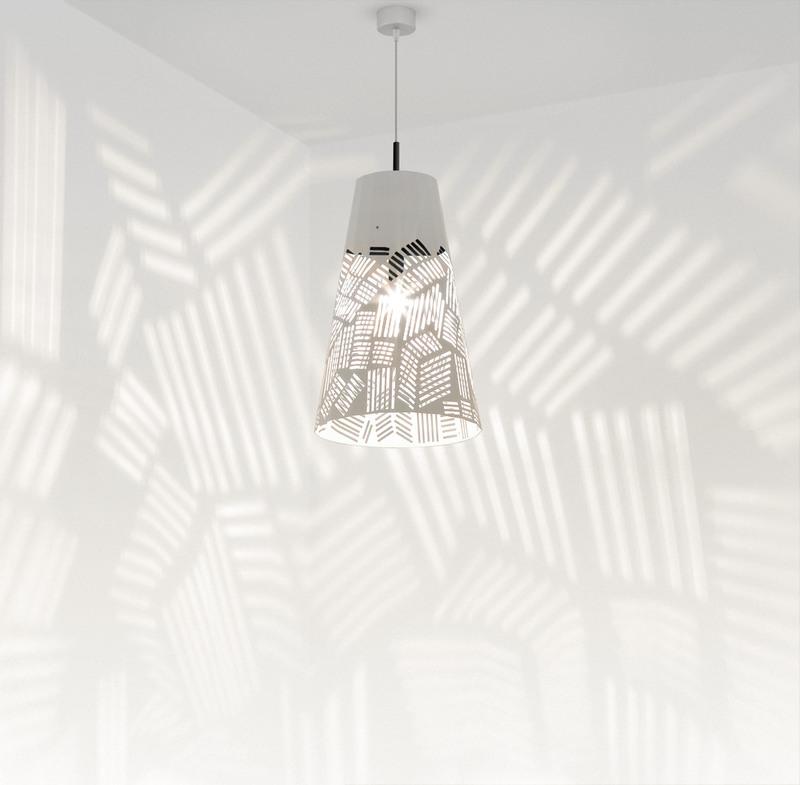 Made from perforated aluminium, Ziggy features a bold, graphic design based on a deconstructed zigzag, which also references traditional herringbone and embroidery textiles. 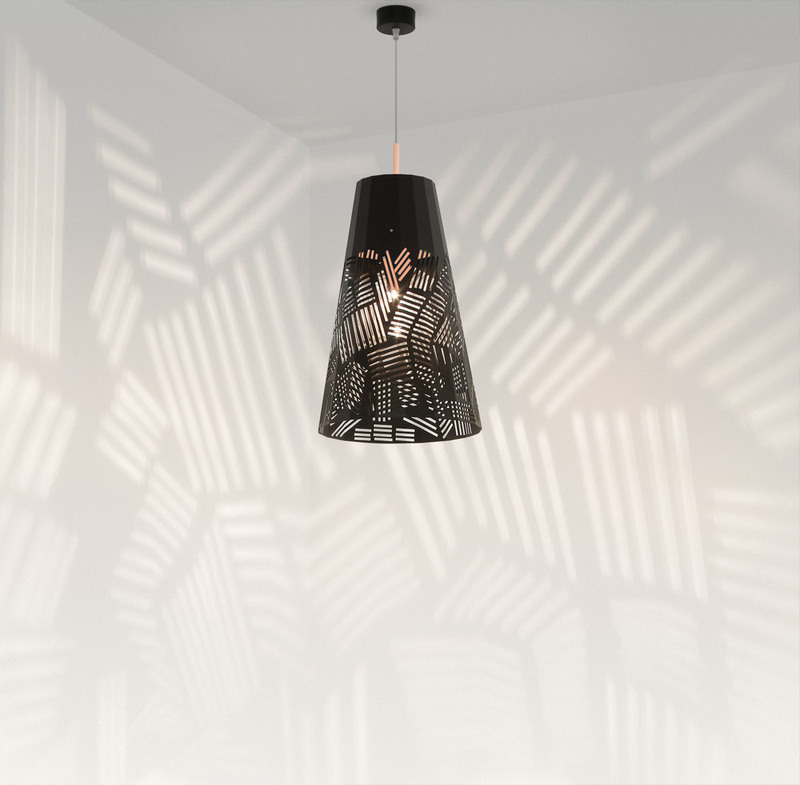 The design wraps around the faceted shade, creating overlays that give a striking sense of movement. The Ziggy Pendant is designed by bernabeifreeman exclusively for ISM. The shade is available in flat white, flat black or satin grey and the inside component creates a beautiful contrast in a choice of bright blue, bright green, flat black or natural copper finish.